There are millions of songs. No one can listen to all or know them all. At a kids party you play music for children. At a party in the retirement home you give songs from the old box. And in between also customize your choice as much as possible to the audience. So a good DJ plays not just what he himself likes. But tries to play what the public likes. Choose a DJ of who the age approximately corresponds to that of the majority of the visitors. It's no great art to get the dance floor full and keep that way with the same dancers and music. Important and difficult it is to get everyone, one time on the dance floor and to let hear everyone a favorite genre .Which also does not mean that a psalm should be played upon each party. This gives a good indication. Draw 20 to 25 years from the most common ages, and you know from what time period the music should come to get that group dancing. From that period, choose the toppers and evergreens. They were in nightclubs and on radio and TV played a lot, and can be found in the top so-much. There was probably also, but less, interest in alternative, non-commercial, and world music that was played in clubs and on festivities. 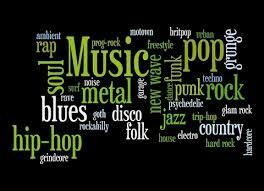 If you search for music styles and genres you can find dozens. Many of which you have never heard of. There are too many to play from every genre something to test an audience. You will thus have to estimate, according to the organizer, the public, the environment etc. how important blues, or metal, or hard rock is. Motorcycle club, salsa bar, dance school, parents committee...? By becoming older a man don’t stop listening to music, so ùore recent toppers are also for an older audience good music. In the other direction it works too: evergreens from 1930 are still being played today, and remain popular. Very often they also get a makeover. The advantage of evergreens is that they for years, even decades proved that the public loves it. In each period, there are several types and styles of popular music, with or without accompanying dance. There are a number of line dances that are done almost anywhere in the same way, and also give dancers without partners the opportunity to participate. Therefore indispensable to a party. Free dancing or jerking can (also to be found under ex. Party crashers) at every favorite music. At least for those who dare to come on the dance floor. Use the songs that you hear over and over again at every party (Paradise by the Dashboard Light,…). A slow everyone can dance and fits in any environment. Also nice to just spend some rest. Also, walking around to the beat of marching music succeeds for most. Especially with Carnival. Possibly after some alcohol. So worth a try. Especially later in the evening. After this not stylized dance is probably the disco (boogie) the most simple and popular. Barry White, YMCA,... '60 and '70 's hits always bring people to the floor. Also relatively popular salsa. Definitely worth testing. Possibly with famous English songs that are also valued by non - salsa dancers. For party and dance music the 80/20 rule applied in business management will apply. If 80 % of your audience turns on Latin, it's not a good idea to play 100% Latin. The remaining 20 % must come to her features. If not, that group will drop, which will also erode the remaining 80 % in the long term. This is of course even more for regular parties and events, and for the reputation of the DJ, or for a single party or jollification. Louder is therefore not better. Everyone thinks it's nice if there could be talked without shouting, and listened without ear damage. A heavy responsibility for many DJs! Quit bad, of course, if there are requests. And the DJ assuming to play a requested salsa presents a frustrating country song. (Often happened!) Whether the demand for a Quickstep replicates with "What's that, sir?" Therefore some must-have First Aid Songs For Emergencies. For every kind of dance a few examples that fit at a party. But even better is of course that you make your own list of favorites and make sure to have titles at parties and events.